Morpheus.Network’s April Airdrop — Register for Bonus MRPH Tokens! 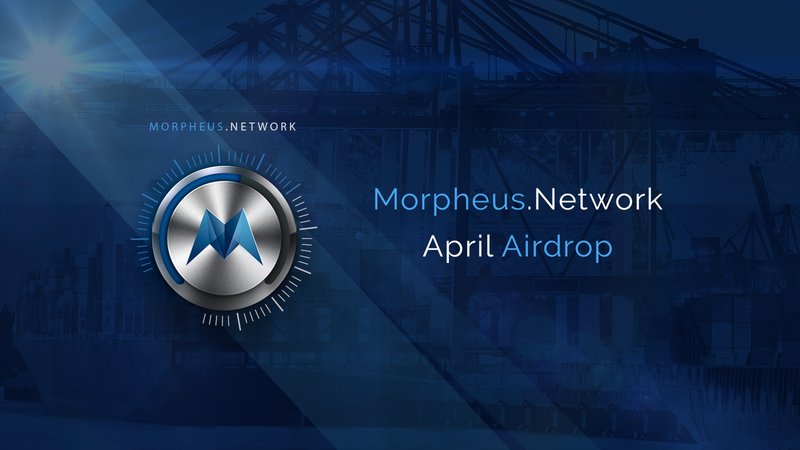 Morpheus.Network’s April Airdrop — Register for Bonus MRPH Tokens! The team has opened registrations and the KYC form for Morpheus.Network’s April Airdrop. Registration is essential to gain your bonus tokens, so please ensure you’ve completed the forms as soon as possible. Fill out the registration form below before April 14th at 11:59pm EST. A few days after completing the form, you will receive an email with a link to complete KYC. KYC must be completed before April 18th at 11:59pm EST. How will the bonus tokens be distributed? Tokens will be “slow-released” daily for the month of April. How do I register for the airdrop? Provide a valid wallet address. Who can register for the airdrop? Airdrop is open to everyone with the exception of residents of Algeria; Bangladesh; Bolivia; Canada; Ecuador; Ethiopia; Iran; Macedonia; Morocco; Nepal; North Korea; Pakistan; People’s Republic of China; Singapore; Sudan; Switzerland; Syria; Tunisia; United States of America. If you are a citizen or resident from one of the above countries, your KYC will be declined. I have registered the airdrop form. When will I receive the KYC form? The KYC form will be emailed to your registered email a few days after completing the form. How often will airdrops occur? Registered holders of MRPH tokens will receive monthly airdrops until the end of 2019. Do I have to re-register for future airdrops? You will still need to register prior to each airdrop. However, once your airdrop KYC has been approved you won’t need to complete KYC again. Where can I fill out the airdrop registration form? I have further questions about the airdrop, who can I contact? You can send an email to support@morpheus.network, or contact one of our admins on Telegram. We will only release details about the Morpheus.Network Airdrop on our official communication channels, including the Morpheus Network website, Telegram, Twitter, Medium, Reddit and Facebook. No official representative of Morpheus.Network will ever message you directly on any of our communication channels asking for your personal information. If this happens, notify one of the designated admins in the respective channel immediately. Do not give your private keys to anyone. Ever. No one from Morpheus.Network will ever ask you for this information. Purchase, ownership, receipt, or possession of MRPH Tokens carries no rights, express or implied, other than the right to use such tokens as a means to participate, interact or transact on the Company’s decentralized Morpheus.Network ERC-20 compliant Ethereum-based blockchain platform and ecosystem, if successfully completed and deployed. In particular, Purchaser understands and accepts that MRPH Tokens do not represent or confer any ownership right or stake, share, security, or equivalent rights, or any right to receive future revenue shares, intellectual property rights or any other form of participation in or relating to the Company and its corporate affiliates, other than any rights relating to the provision and receipt of services from Company, subject to limitations and conditions in this Agreement. The MRPH Tokens are not intended to be utilized outside the Morpheus.Network platform nor as a digital currency, security, commodity, or any kind of financial instrument, and the Company shall not be liable to Purchaser for any decrease in value of MRPH Tokens or any other damages that Purchaser may incur as a result of using or purchasing MRPH Tokens for anything besides their intended use on the Morpheus.Network platform.